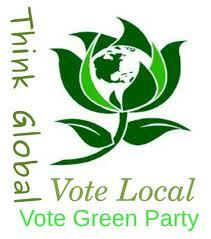 Greens are participants and supporters of the Occupy movement, from local to national to international spheres. 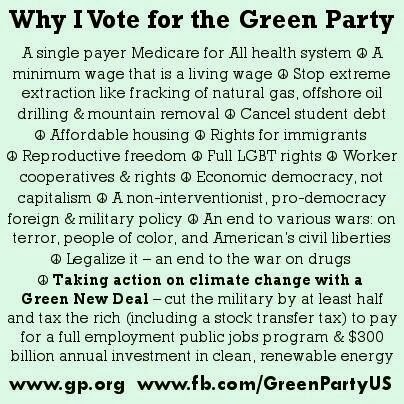 From party members to elected officials to presidential candidates, Greens are bringing years of hard work to the movement that mirrors the Ten Key Values. Decades of Green activism have set the stage for a new government that represents the interests of its people. In 2013 we hope to see them occupying their state capitols not as protesters, but to claim seats of power in government. The San Fernando Valley Greens in Cali­fornia endorsed Occupy Wall Street, “be­cause of our ‘common cause’ with the Occupy movement… as well as the Right of Assembly and Freedom of Speech of all protesters around the world who have joined them, and their efforts to bring about peaceful change for the benefit of all of us.” Their statement of endorsement elaborates on the common cause, by discussing how each of the 10 Key Values of the Green Party of the United States ad­dresses issues being raised by Occupy. Protesters outside police lines in Oakland January 28, 2012 after more than 400 peaceful demonstrators were kettled, tear gassed, and arrested. ﻿ The Green Party of California endorsed Occupy Wall Street October 7, 2011, ex­pressing solidarity with Occupy “actions in California and throughout the country and the expression of direct democracy that it represents.” The Green Party of Ala­meda County, California has been participating in Occupy Oakland since its inception. The Green Party of Minnesota issued a statement of support to Occupy. 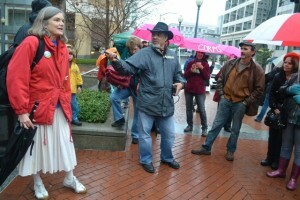 The Green Party of San Francisco endorsed Occupy San Francisco. Internationally, in Liver­pool, England a workshop took place at a Green Party Conference in February, to discuss learning from and supporting the Occupy movement. “The Green Party encourages those Occu­piers who want to have an effect on the 2012 elections to help us build a permanent alternative party that represents the interests of We The People—the 99 percent—instead of banks, oil companies, arms manufacturers, insurance firms, and other powerful lobbies. 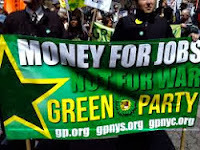 The Green Party accepts no money from corporate PACs. Our platform reflects the values and demands of Occupy Wall Street,” said Kent Mesplay, candidate for the Green Party’s 2012 presidential nomination. The Washington Post quoted candidate for Green presidential nomination Roseanne Barr, noting candidate Jill Stein’s involvement with Occupy as a reason to support her. “Both the Democratic and Republi­can parties are bought and paid for by corporate America and cater to the needs of the highest bidder as opposed to the people they claim to represent,” Barr said in a statement on Green Party Watch. She adds that she’s been “a tireless advocate of Occupy Wall Street” since its beginning. November 28, 2011, The Hill questioned whether Green Party presidential candidate Jill Stein is the Occupy Candidate. Later, she presented a speech in Washington, DC for Occupy The Courts January 20, 2012, where she emphasized the Green Party’s opposition to corporate personhood since 1996 and the need for true democracy led by its citizenry, as part of the social, constitutional, legal, and electoral movement. The Green Party of the United States has issued press releases condemning police brutality against peaceful occupy demonstrations, encouraging electoral activists participating in occupy to run for office, and helping to distinguish occupy as separate from the two-party system. Street West outside the Oakland Federal Courthouse.